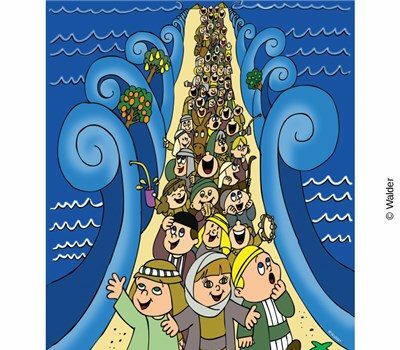 In one of the most unique portions of the Torah, we read -and see- the song in which Moshe leads the Jewish people after escaping the Egpyptians at the Red Sea. So monumental, in fact, is this song, that we’ve incorporated it in its entirety into our daily prayers of P’sukei D’Zimrah before Shacharit. While there are many parts of the song whose depth requires our attention, the best place to start is with the first words, “Az yashir”. “Yashir” means “He (Moshe) will sing”, but “Az” means “then”, or “therefore”. It would seem that this word shows how this song was in direct response to something specific. The conventional understanding, as Rashi explains, is that it refers to the miracle at the Sea, and how Hashem split and closed the waters just at the right time to save the Jews and kill the Egyptians. Another way one can look at this phrase “therefore”, however, is not as a response to the overall episode, but rather to the immediately preceding words. The Sfas Emes explains, that it wasn’t simply the miracles that prompted Moshe’s celebratory song, but also a response to “The nation feared Gd, and they believed in Hashem” (14:31). They were celebrating their own belief in Hashem! Of course, teh miracle played a role, but their song was in response to their own connection to Gd, not just what He did for them. We all have times in our lives when we feel inspired, spiritually lifted, or in close relationship with Gd. When those moments occur, they can’t be wasted. We should capitalize on those moments and feel joy that we reached them! When you learn a meaningful Torah idea, have a fulfilling davening, or simply feel gratitude to Hashem for something that’s happened to you- celebrate that feeling! The more we cherish the feeling in the moment, the more we’ll want it again, and that will inevitably help us to continue growing.